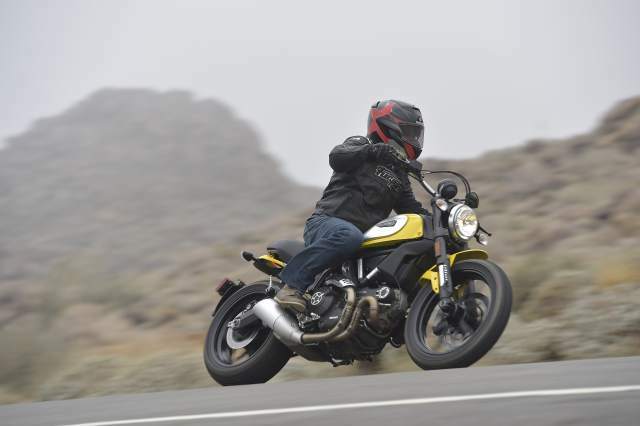 DUCATI'S marketing machine has been working like one of its V-twin engines this year to leave no one in the world unaware of the new Scrambler. Never before, probably, has a new model come as less of a surprise. There were teasers and leaks. There was an animated film and pictures on Instagram. There was even a video plainly showing the Scrambler, presented in the press as a chance sighting by a reader despite being clearly set up. By the time the bike was officially unveiled at the Cologne show in September, there were tribes in the Amazon untouched by the outside world who were over it. Which seems a shame because, at the launch in Palm Springs, California, yesterday, it proved not without appeal. You probably know the back story by now but I'll run through it just in case. It's a contemporary interpretation of the Ducati model of the same name made from 1962 to 1975. Then it had a single-cylinder engine ranging from 125 to 450cc; now it's inherited the V-twin plant from the Monster 796, the only air-cooled engine left in Ducati's range. 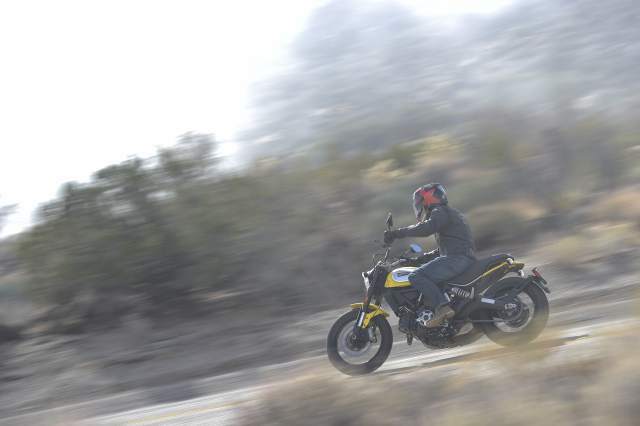 There are four variants of the new Scrambler, differing in styling. There's the Icon, which is the base model. 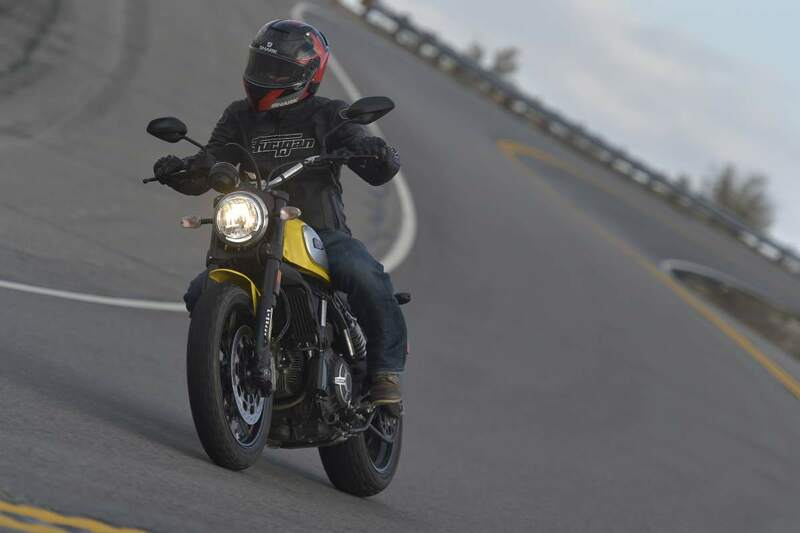 There's the flat-tracker-style Full Throttle, with a Termignoni slip-on. There's the Urban Enduro, which looks a bit like an Action Man bike from the '70s. And there's the Classic, with wire-spoke wheels and aluminium mudguards. Ducati is also encouraging the notion of individualising bikes with items from a long list of parts and accessories. There are different seats, tank panels, different number plate hangers, different T-shirts and hoodies if you don't want to stop with the bike. 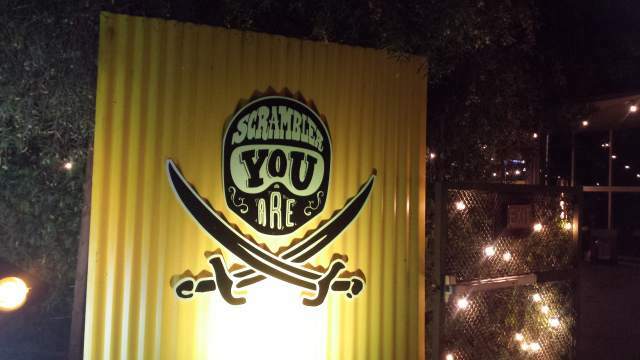 'Scrambler is self-expression,' the firm says. 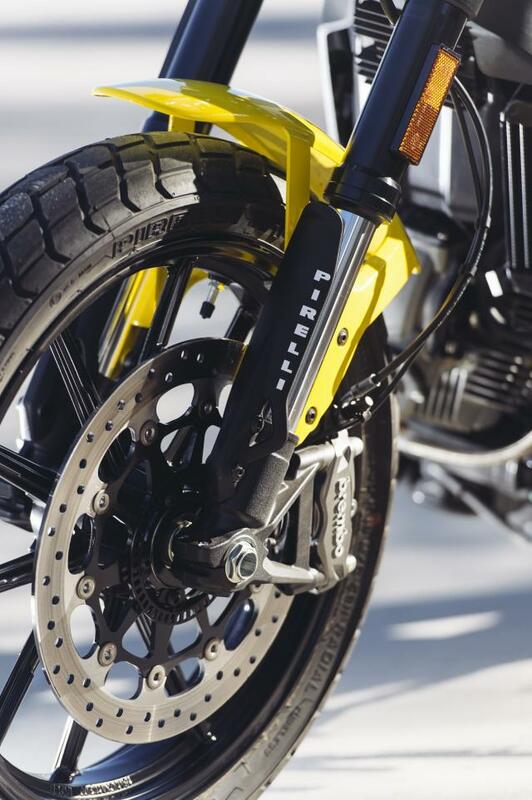 The Full Throttle, Urban Enduro and Classic cost £7,995 plus on-the-road charges. 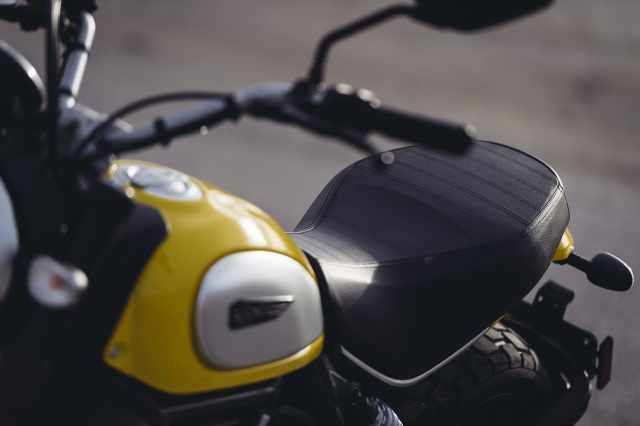 The Icon is £6895 in red or £6995 in yellow, the colour most associated with the Scramblers of the '60s and '70s. That makes it the cheapest model in Ducati's range, while the peak power of 75hp makes it eligible to be restricted for A2 licence holders. Ducati (or Dookahdi, as they say in California) said at the presentation before the launch ride that a 48hp version would be offered. 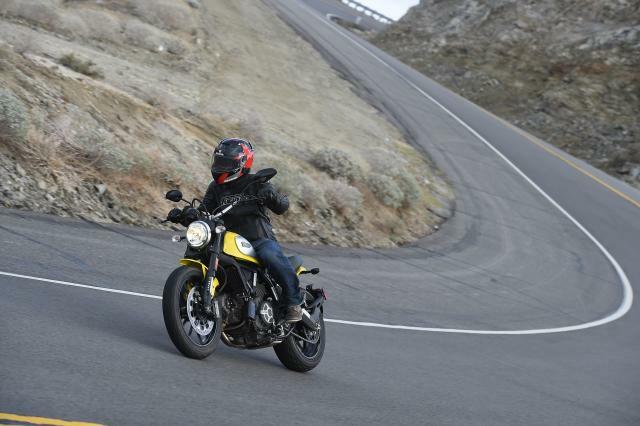 We rode the 75hp Icon in yellow, which may have lost 12 of the Monster 796's horses but is not short on grunt. The digital rev counter goes up to 12,000rpm but it needn't. At 8,000rpm, red lights flash and at about 8,300 it hits a rev limiter. That's just over 40mph in first gear and it gets there in a short, sharp, punch of meaty torque. 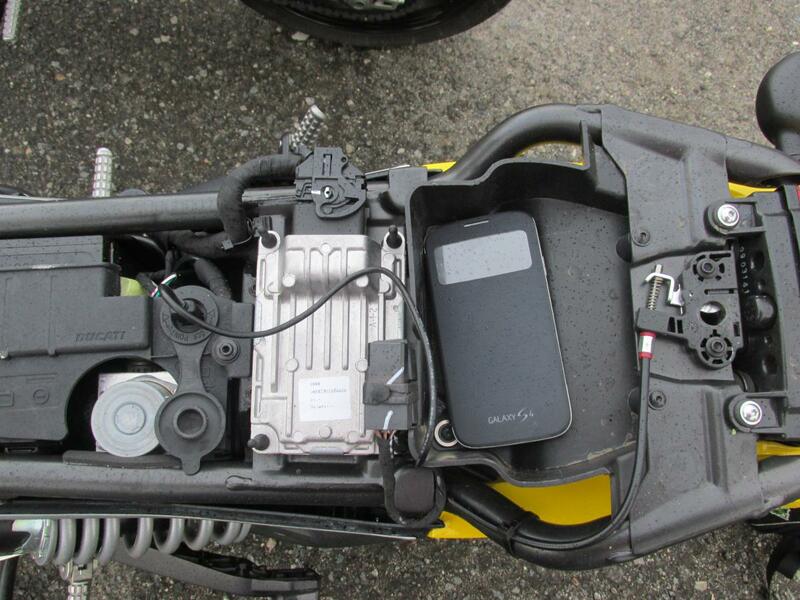 At the presentation, Ducati had said power delivery was soft but it isn't. Roll off and on again at about 4,000rpm in second and the response is better described as aggressive. 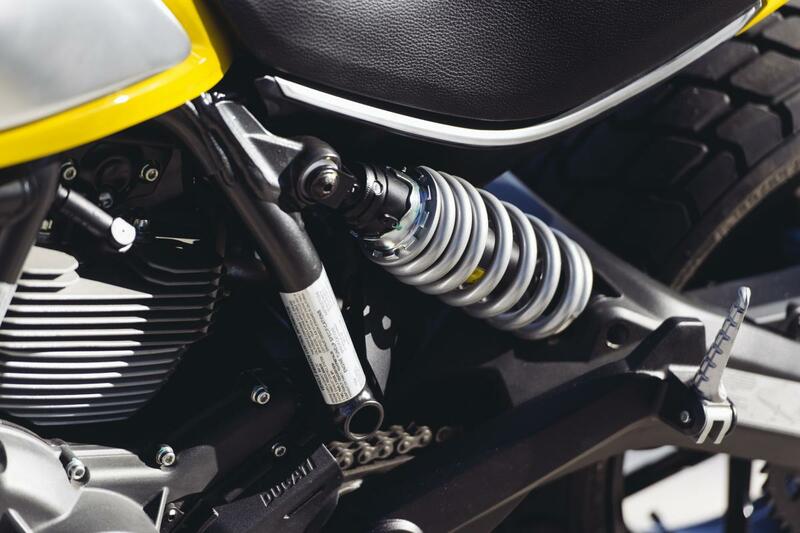 The Scrambler rewards a predictable throttle hand and picks up smoothly and predictably as you accelerate through the gears in a series of bursts of grunt. It sounds good too, with a V-twin bark much louder than you get from any Japanese bikes these days and a nice, rumbling burble just after you shut off. The dimensions and riding position make it a completely unintimidating prospect despite the punch. It's small, with a low seat-height of 790mm (and an even lower 770mm seat available as an accessory). 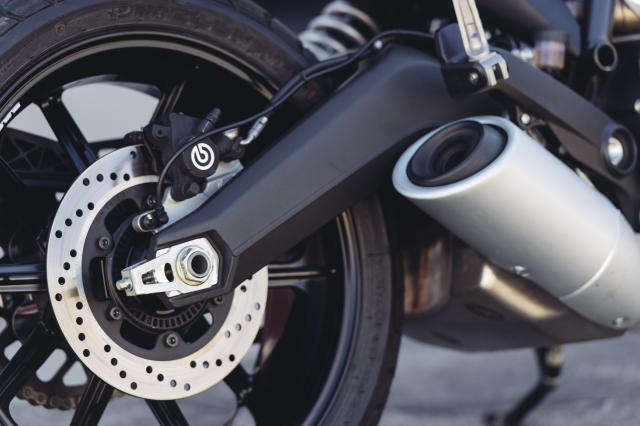 The rider's foot-pegs are a little further forward than typical of contemporary motorcycles, slightly in front of the body rather than directly below it. The bars are quite high. It seems to be aiming more for a sense of tradition than optimum comfort but it's easy-going and manageable. Claimed dry weight is a not bad 170kg. If anything the Scrambler feels lighter. It's like a 75hp, V-twin VanVan, and I don't intend the comparison to diminish the Ducati. Apart from looking looking similar, with a fat, sand dune-style rear tyre, Suzuki's VanVan 125 has a muck-about attitude and easy-life character which the Ducati shares. 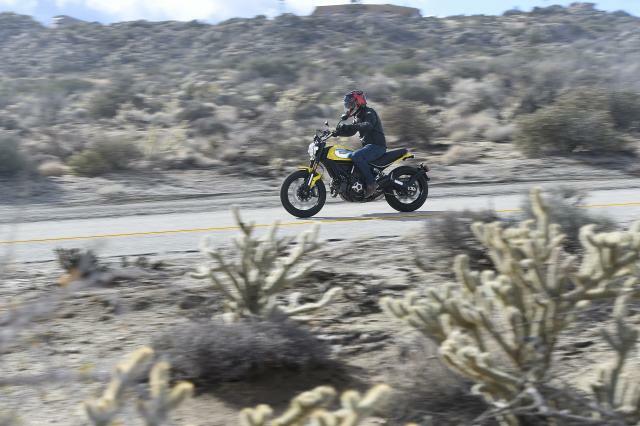 The Scrambler feels like a toy. The non-adjustable upside-down fork and preload-adjustable shock, both from Kayaba, provide a generous 150mm of travel in both wheels, but the set-up is nevertheless quite firm. Ducati says the suspension travel is somewhere between a typical road and off-road bike, because the Scrambler has some 'very soft' off-road potential. If it does, it's only because its character puts you in the mood to give anything a go. 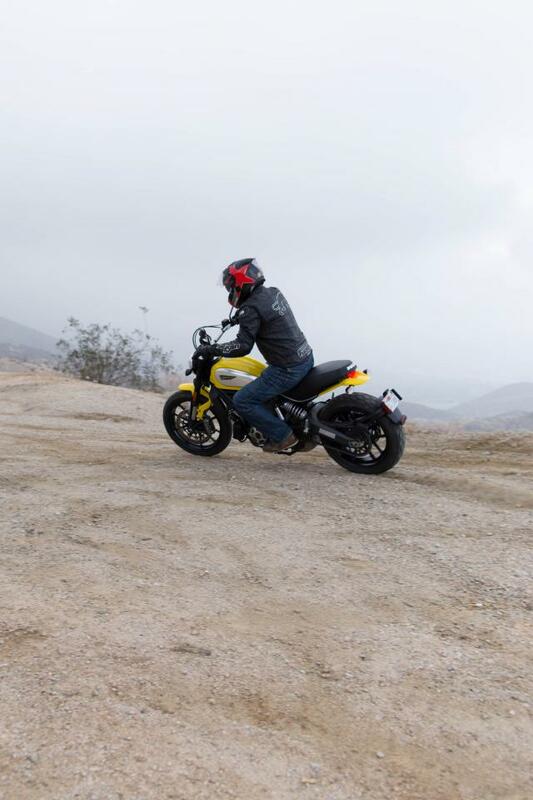 The Pirelli MT60 tyres are reasonably grippy and the generous spread of power carries you smoothly through winding curves without need to change gear, while the dimensions make changing direction effortless. Alternative tyre options will be limited by the 18-inch front. 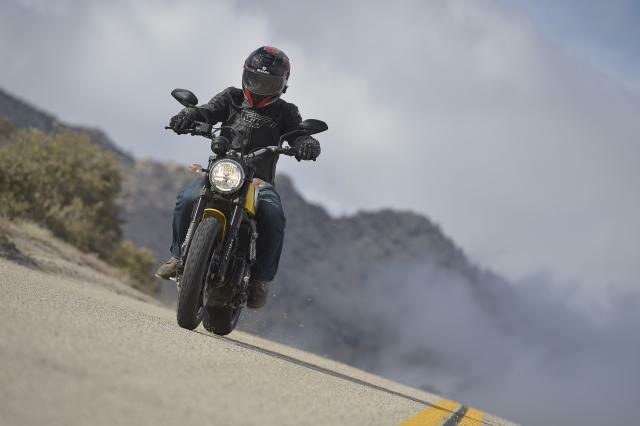 At low speed, the Scrambler feels well-balanced and friendly, offering the confidence to let you stop in the middle of a tight turn without immediately putting a foot down. The gearbox was a little clunky, especially changing between first and second, and once I found a false neutral between fifth and sixth. The big, 330mm single front disc with four-pot radial mounted caliper has no shortage of power or feel through the span-adjustable lever. ABS is standard and can be switched off by navigating through a menu on the single digital clock. It's a much simpler system than you'll find on more expensive Ducatis and only took me a few seconds to conquer without instruction. It also lets you set a PIN number which can be used later to over-ride the immobiliser if the key is lost. And that's about all the equipment you get. 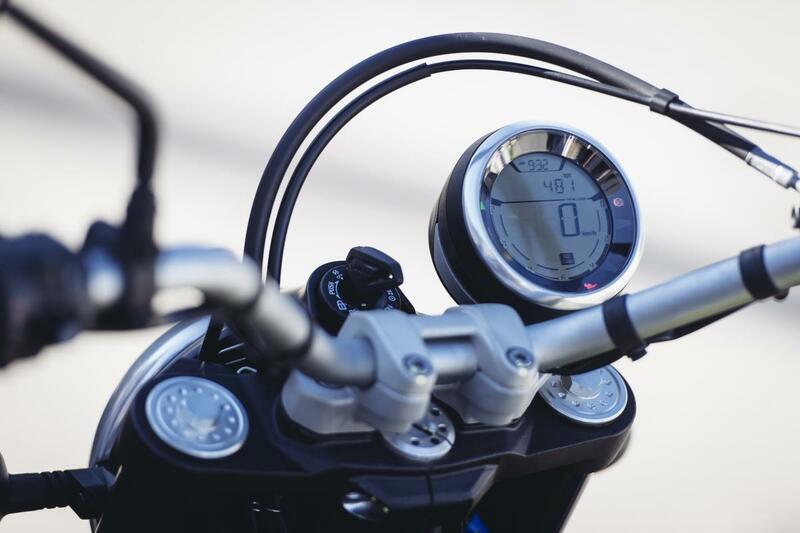 The rev-counter dial travels clockwise from the right-hand side, so it curves around the bottom of the clock, a nod to the speedometers of classic Scramblers which did the same. 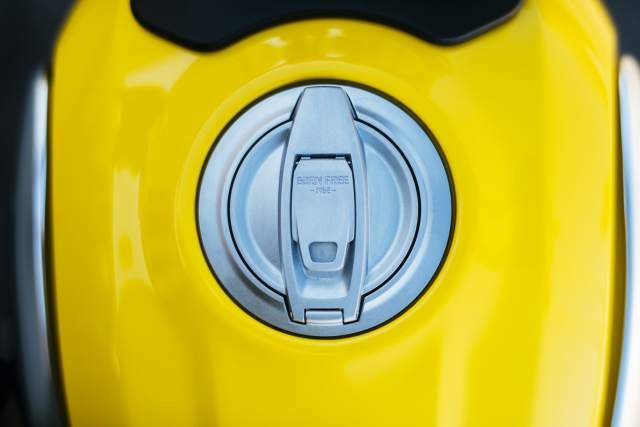 There's a fuel light but no gauge or consumption meter. You do get a clock and the air temperature. Concessions to convenience are few. 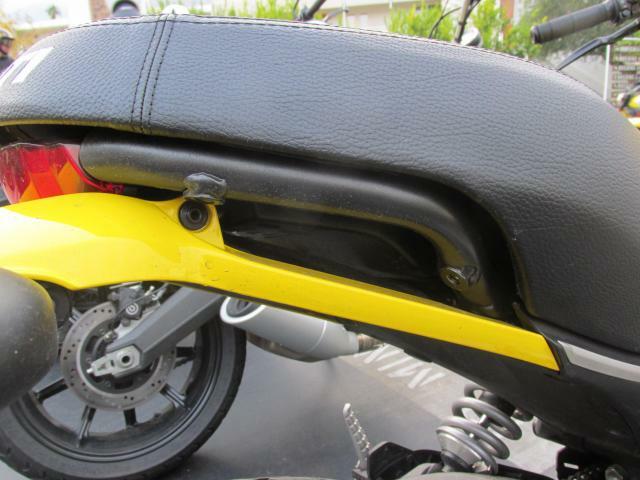 The tail unit has no obvious places to hook a bungee cord and I wonder if a pillion would get a soaking by water flung from the rear tyre. There is an under-seat USB socket for charging a phone and a compartment big enough to store one in, probably a more useful feature today than a helmet lock. The seat is quite hard and narrow and I was beginning to feel sore toward the end of the test ride, which wasn't even very long. I don't think people will buy this bike for long rides, though. I think, and Ducati says, that it's for short journeys, from home to work. I'd add that it's for the fashion conscious who want to look cool on their way to work, not least in London, where it will be adept at traffic weaving with its wide bars and large mirrors. 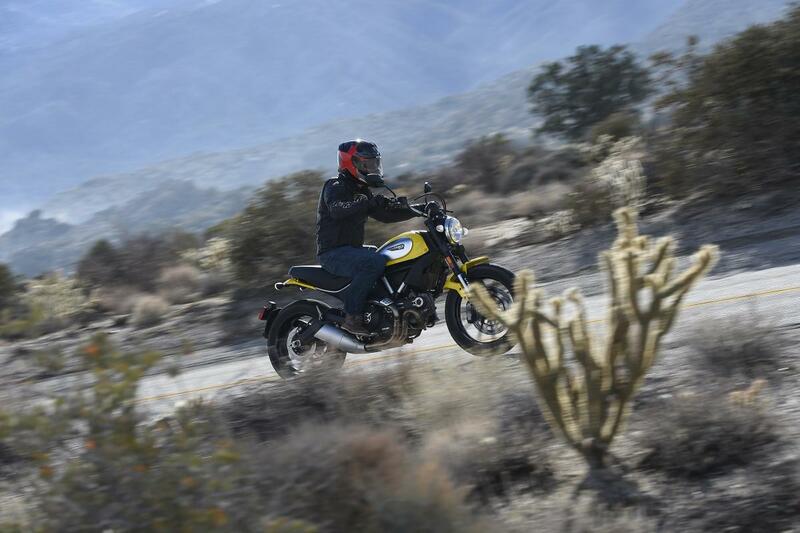 At times it has seemed that Ducati is trying so hard to make us believe the Scrambler is cool, with irritating and meaningless slogans like 'Scrambler you are', that the effort is at risk of backfiring. But despite what I said earlier, the marketing doesn't seem to be putting people off. 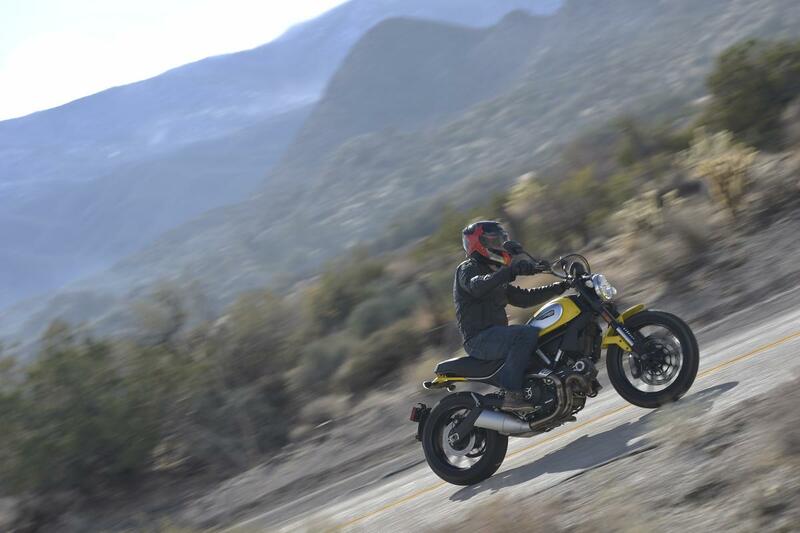 Ducati has already taken over 200 orders of the Scrambler, which is due to arrive in dealers from February. That's just in the UK. The bike is a global campaign for Ducati, with manufacturing operations in Thailand and Brazil as well as Bologna. 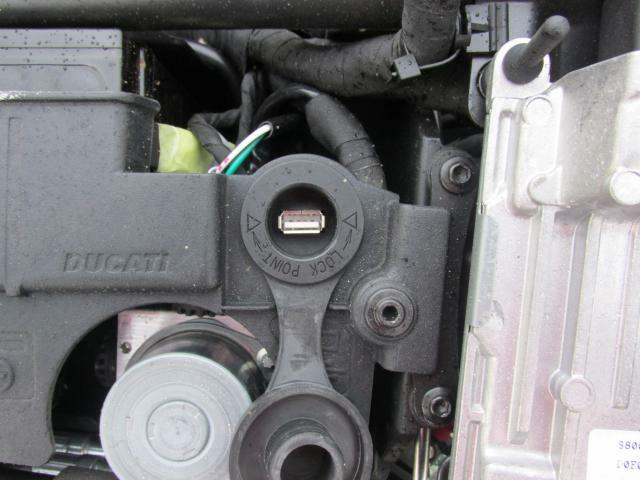 It's got a cable clutch instead of hydraulic, as found on other Ducatis, for ease of repair in far flung places. The ones sold in the UK will be made in Italy. If you're not one of the fashion conscious, it might be difficult to justify one over, say, a Yamaha MT-07, at £5,349 with ABS. 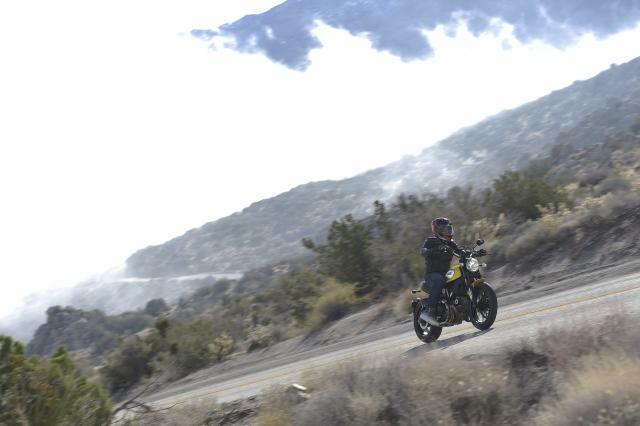 If you are one of the fashion conscious, you probably don't need me to tell you the Scrambler is the bike you want.